Lots of people buy new cordless drills this time of year. I’ve received numerous emails and requests for Black Friday 2017 drill deals. The deals are really, really good this year, at least on compact models. Sorry, there don’t seem to be big deals on heavier duty models. To help you out with your deal shopping, whether you’re buying for yourself or someone else, here’s a look at the most notable deals I’ve been tracking. 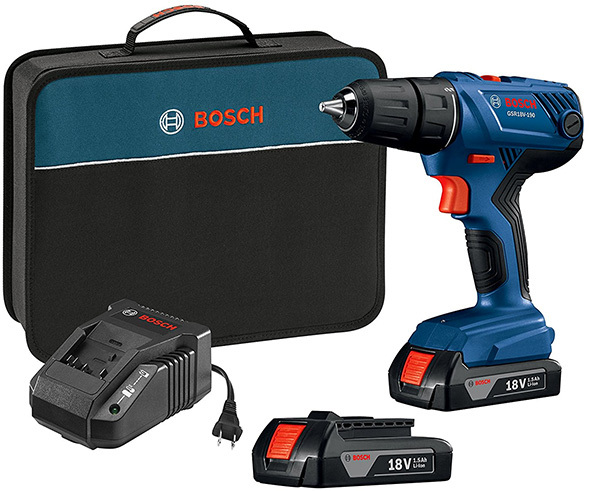 This Bosch combo, which I posted about just yesterday, is simply a great kit. The tools, while not recent designs, are still plenty for DIYers and pros looking for compact drill and impact driver. Bosch’s tools tend to be highly reliable, too. Did some other tools in Milwaukee’s M12 lineup catch your attention? Buy this combo kit instead. Milwaukee’s M12 lineup is the largest out there, with all kinds of useful tools. Makita’s revamped 12V Max lineup is small, but growing. Buy this set if you have any of their other CXT tools on your wishlist, or if you’d prefer a drill and impact with slender handles and slide-style battery packs. Compare(via Amazon) – I wouldn’t be surprised if Amazon also has this kit on sale. 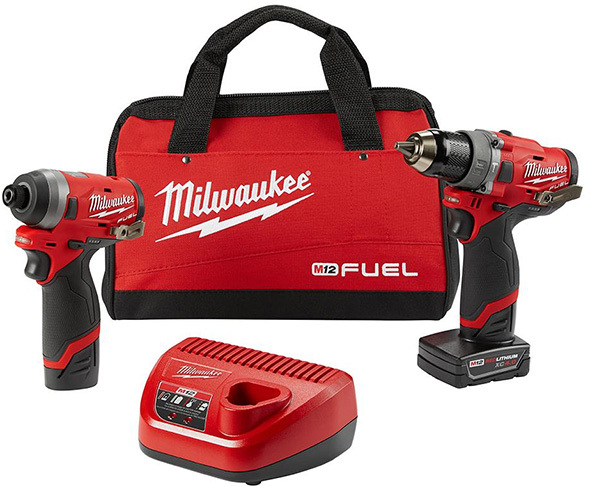 These Milwaukee M12 Fuel kits feature brushless tools – your choice between a hammer drill or impact driver – a single battery pack, charger, and nearly indestructible new Packout tool box. Acme Tools has the best deal right now, but Home Depot’s deal is nearly as good if you don’t want to mess with shipping minimums. I’ve thought about it long and hard, but I think that this Makita XFD061 brushless drill kit is my “top pick” out of all the holiday season special buys. It’s going to drop back down to $99 again. Just 2 years ago this would have been unheard of – brushless drill kits, let alone bare tools, at this price. Makita’s XDT131 compact brushless impact driver also deserves a mention for being a really good value. 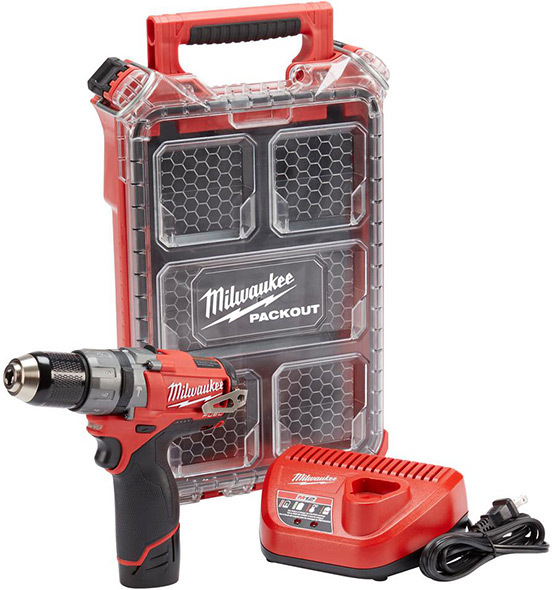 Milwaukee’s 2701-21P M18 compact brushless drill 1-battery kit is my other favorite. Depending on the time of day, this would be my “best Black Friday cordless drill kit” top pick. It’s a good tool, at a great price. Buy Now(via Acme Tool) – free shipping on $199+, the deal is LIVE now, and follow the steps in this post to save even more on the kit! 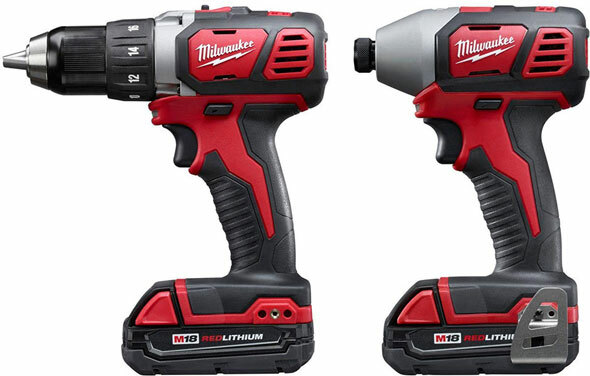 I felt it necessary to also mention Milwaukee’s M18 promo brushless impact driver kit, as this is also a really good buy. While not as much as a standout as last year, this Dewalt DCD777 brushless compact drill kit is a good buy. It’s a little less compelling this year, in comparison to the Milwaukee and Makita offerings, but it also does come with (2) battery packs. I wonder how many of these drills will be sold this year. Just about every tool retailer I’ve checked has them for $99. 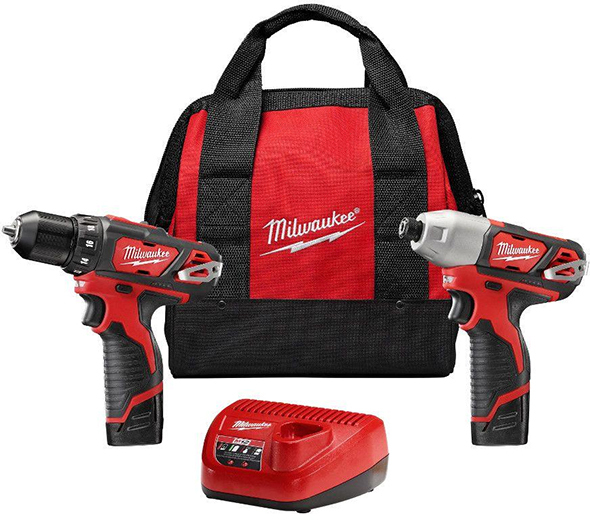 Home Depot’s going to have a Black Friday weekend special on this Milwaukee M12 brushed motor drill and impact driver kit. If you have a bigger budget, consider buying both of the compact brushless kits instead. 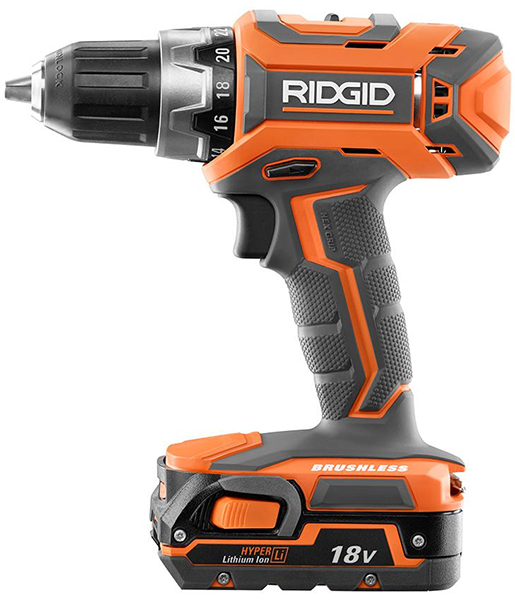 There’s going to be a Ridgid 18V brushless drill and impact driver kit on sale for $149 at Home Depot. It’s not up yet, but this – a previous year’s drill special buy – will probably be one of the tools included in the bundle. 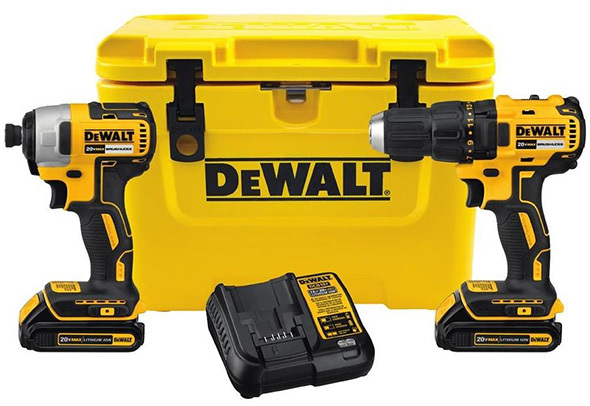 Several retailers will offer a “just okay” deal on a Dewalt entry-level brushless drill and impact driver combo kit. Lowes takes things further, bundling the same kit with a rotomolded cooler at a discounted price. 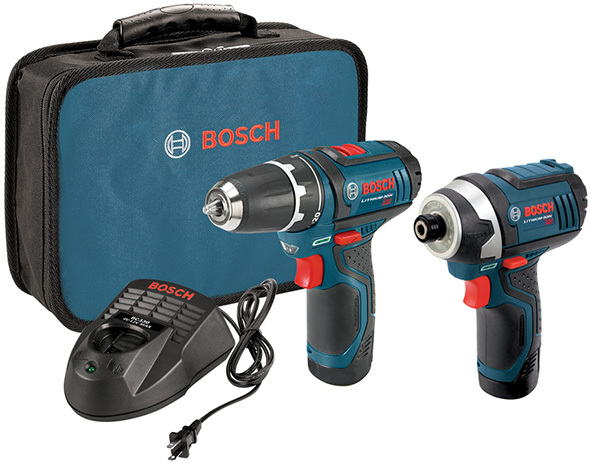 It still remains unclear as to whether this new Bosch 18V cordless drill kit will be a Black Friday special or not. If it is, the standout would be its (2) 1.5Ah battery packs. I’d bet we’ll see this kit at a $99 price point. If not, I’ll be very surprised. Compared to the brushless compact kits mentioned above, this is a less appealing deal. But, their DDB181 drill was a good performer, for a basic drill, and this one might be as good or even better. Did you find a fantastic cordless drill that deserves a mention? Please let us know! Your doing a great job on all your holiday deal posts. 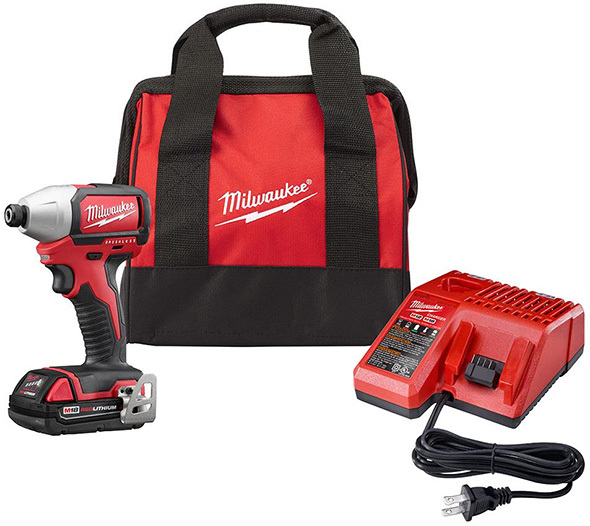 FYI: my Home Depot has a Milwaukee Rocket Light Tool only sku not the kit sku (the first one selling for $199) that you can add to one of their holiday Tool deals that include a “bonus battery 6.0 and charger”. 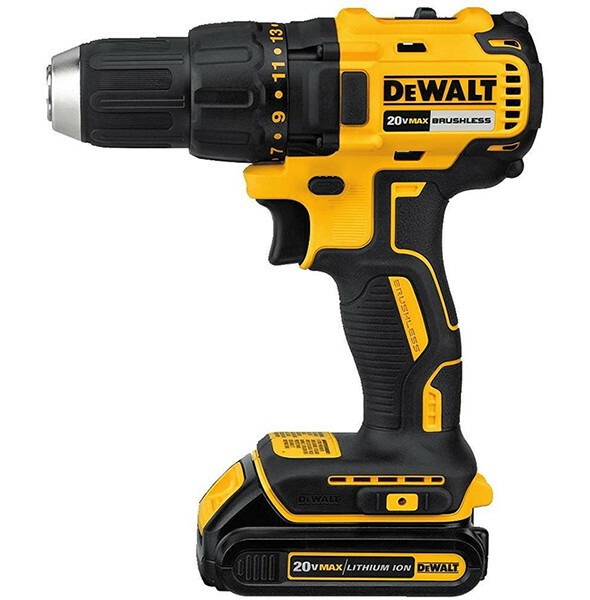 So you get the $399 drill Impact with a free light and a few of the boxes have a bonus battery/charger. The sku was the tool only and it was listed as a bonus and not the kit. Looks like I am a Dewalt and Milwaukee Guy now after that deal. 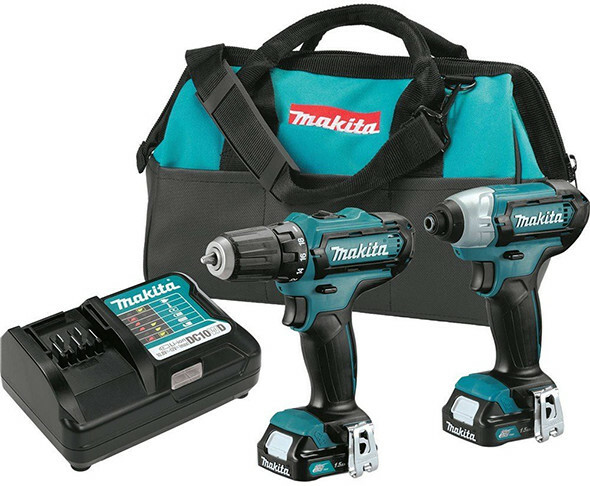 I am curious to your reasoning behind the Makita being your “top pick” in comparison to the other drill offering. I can see the larger kitted battery, higher max torque but plastic Chuck and low max rpms. Does 18v platform play a role? I mean compared to the Bosch, the Ridgid and maybe the DeWalt this seems the better pick and I prefer Makita to m18… But the m18 seems a better quality drill. Is it personal preference(just the Makita time of day) or am I missing something? The Makita and Milwaukee as as close to “regular” offerings as could be, in contrast to the Dewalt’s “special buy mass retail” model. 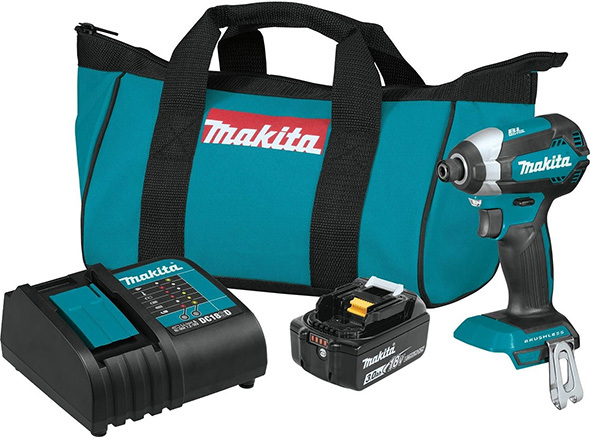 In talking with Ben about it, it looks like the Makita shares the same features, specs, appearance, and presumably the same internal components, as an older compact brushless drill they offered. It comes with a 3.0Ah battery pack, and the newest style with built-in battery fuel gauge. Let’s say that I was in the market for a couple of cordless power tools, and I wanted a “gateway” set. I really like Milwaukee’s M18 platform. 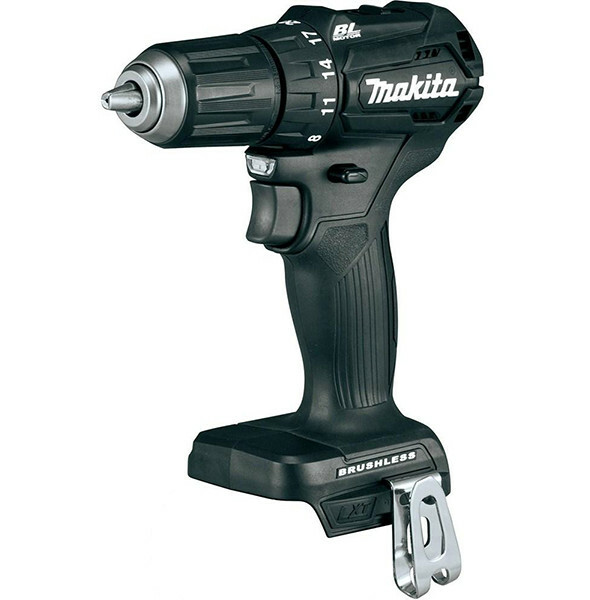 But from a dollars and cents standpoint, the Makita offers the more economical bare-bones entry. I can buy a Makita circular saw bare tool and pair it with that battery pack and get good results. Would anyone pair that Milwaukee compact battery pack to one of their circular saws? You could, but it’s not an ideal pairing. They’re really, really good deals. I bought one of the Makita kits for my own testing, and one for Ben’s review. I’ve been a little occupied, but I’m planning for a Dewalt vs. Makita vs. Milwaukee vs. Harbor Freight (Hercules) comparison as soon as I can take a few hours’ break from holiday tool deals coverage. There are reasons to go with Makita, and reasons to go with Milwaukee. 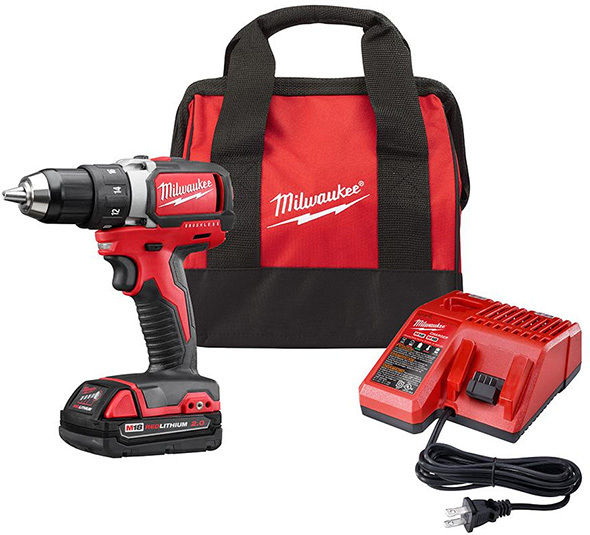 If you order through Acme Tool and are willing to go through a little effort, you can get the Milwaukee kit at a better discount. If I had to choose between the Milwaukee kit and the Makita kit, on a scale of -10 to 10, with 0 being complete indecision, I’m yo-yoing between -1 and 1. Stuart, do you have any experience with the new Ryobi brushless stuff? The deal is you get the BL hammer drill kit (4ah battery) for $149 and your choice of free bare tool, options include new BL impact, recip, circular, angle grinder, or belt sander. Yes, it’s Ryobi, but they seem to be upping their game with the BL offerings. How they stack up to say Ridgid or some of the pro brands’ non-BL stuff, I have no idea. Yes, but not enough to have much to comment on. I definitely would describe them as among the more premium of Ryobi’s offerings. 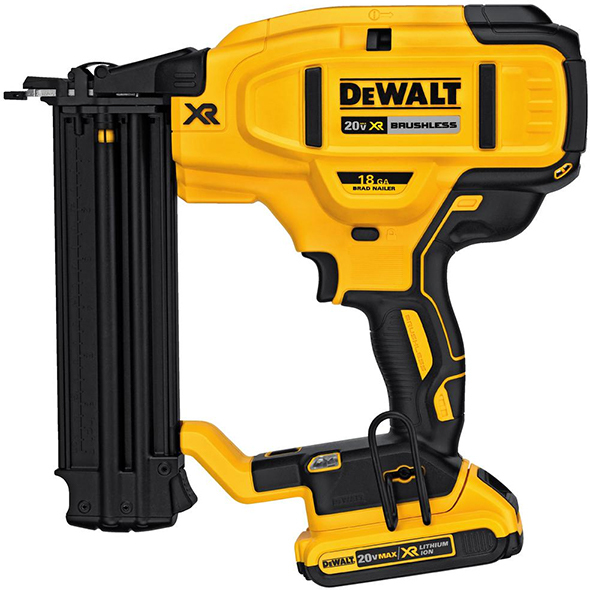 I think this combo on amazon DEWALT DCK281D2 20V Max XR Lithium Ion Brushless Compact Drill/Driver & Impact Driver Combo Kit for $220 then take $25 off to $195 is a decent deal. Home depot model no is 2701-20), which is not the one you have listed? Same thing? 2701-20 is the bare tool. 2701-21P, as linked-to, is the special 1-battery kit deal. 2701-20 comes with the drill. 2701-21P comes with the drill, a charger, a carrying bag, and a battery pack.